September is upon us, bringing with it new beginnings. As we welcome new faces and stand on the precipice of exciting changes to the CORBIS model, it felt fitting to take a moment to reintroduce ourselves and our vision. As a student-faculty academic group, CORBIS will continue to work together to understand nuance and complexities of global health and development from an interdisciplinary perspective, bringing together students of medicine, global studies, politics, law and more. In addition to pursuing this continued goal, this year will be a year of evolution for CORBIS, adapting its model to strive for more than ever. 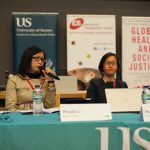 In previous years, CORBIS has been known for its acclaimed Global Health and Development Conference, attracting delegates from all over the world and bringing together minds from a myriad of backgrounds. This year, in addition to the Spring conference, CORBIS aims to expand its activities with more events over the course of the year. 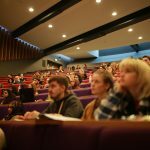 At present there are plans in place for an upcoming event dedicated to understanding the intersection of climate change and health, followed by a mini-conference in November which will span an afternoon, delivering the best elements of our annual conferences plus plenty of room for discussion. Finally, as December rolls around CORBIS is excited to be organising a screening of an insightful new documentary to coincide with World Aids Day. The aim of this new model is to spread our activities more consistently across the year, to facilitate a steady simmer of collaboration and learning. As CORBIS evolves to become more of an academic student-faculty initiative, contributing to research and understanding in global health, this year we will establish our portfolio of research clusters. This programme aims to bring together students from a variety of disciplines to collaborate throughout the year to produce research papers on the following themes: sexual and reproductive health, securitisation of health and political economy of universal healthcare. With the support of an academic supervisor and CORBIS Advisor, these research clusters will be delving into understanding key issues within global health and development, with the hopes of contributing new and valuable insights to the field. There are plenty of opportunities to get involved in our research and engagement work. 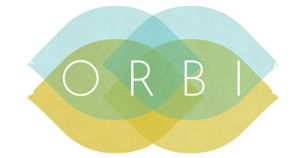 If you would be interested in taking on the role of Conference Coordinator to support the organisation of our conferences, do send us an email at info@corbissussex.org for more information and an application form. If the role of conference coordinator sounds too time-consuming, but you would like to be a member of the working team (roles ranging from Content/Logistics/Monitoring & Evaluation/Finance/Marketing) then send us an email and we will get in touch at a later date once we are ready to recruit for those roles. If you have an interest in the research clusters and seek an opportunity to get involved with investigating the aforementioned topics, send us an email to the same address, and we can give you more information about the research questions as well as putting you in touch with the principle investigator of the project that interests you. This promises to be an exciting year for CORBIS, and we look forward to working and growing together in the pursuit of developing a greater understanding global health and development matters.